Bauwien van der Meer studied at the Royal Conservatory (Koninklijk Conservatorium) under Sasja Hunnego, after which she got a masters degree at the New Opera Academy (De Nieuwe Opera Akademie, DNOA). There she sang the title role in Handel's Alcina, conducted by Richard Egarr. To participate in the post master of the VocaalLAB Bauwien received a grant from the Prins Bernhard Cultuurfonds. With VocaalLAB Bauwien van der Meer participated in numerous world premieres and other outstanding productions, home and abroad, most recently in Xenakis' Oresteia. In honor of the seventieth birthday of Louis Andriessen, Bauwien van der Meer sang in De Staat, with the Nederlands Blazers Ensemble, at the BBC Proms. With Ensemble 88 she sang Schönbergs Pierrot Lunaire, which performance can be seen on YouTube (recording). Bauwien van der Meer worked with conductors such as Frank Ollu, Reinbert de Leeuw, Etienne Siebens and Lucas Vis. Recently, she played Mrs. Coyle in a particular well-received production of Britten's Owen Wingrave (De Volkskrant: “The wife of Owens teacher shines on stage, thanks to the warm, lushful sound of Bauwien van der Meer”). A reprise of this production has taken place in January 2014 (Owen Wingrave - Mrs. Coyle). The CD "The William Blake Experience", a cross-over production of Quatre Bouches and Eisler Trio, was presented in January 2014. 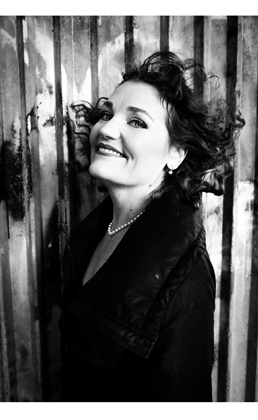 April 2014, Bauwien van der Meer will sing the soprano solo in the Brahms Requiem, conducted by Ed Spanjaard with OvZN, the merger of the LSO and Het Brabants orkest. Listen here to the live recording of the concert of April 27 2014 (recording). Bauwien van der Meer was in 2013 'artist in residence' at the Operadagen Rotterdam. She is a permanent member of the Eisler Trio, an ensemble with cello and guitar, and of vocal quartet Quatre Bouches.